Tomas Koolhaas has been working on a film showing the human side of his father Rem, the famous Dutch architect, who is also the curator of this year’s Venice Architecture Biennale starting this weekend. It has clearly been a special project for him, getting to understand his father’s work on a different level. 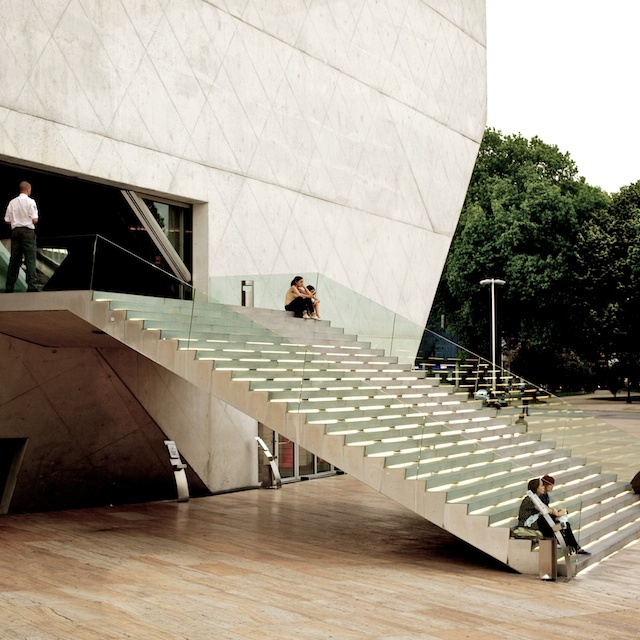 His favourite building… the beautiful Casa da Musica (opening image) in Porto. How long have been working on the film? I’ve been shooting bits and pieces for a long time with the knowledge that one day I would make a film, but I’ve been working on it full time for two years now. It’s super interesting. Everyone always warns you against it (working with family) and there are pitfalls -of course- but it has actually been really good. I find that as an adult you rarely spend a lot of time with someone unless you are working on something together, just because everyone has there own projects going on, and in our globalized culture that often involves being in different countries. To work on this with Rem has meant I have got to know him and his work in a way I probably wouldn’t have without the film. Was there a specific aspect about his work that you wanted to emphasise in the film? Yes. I think what you could call the “human” dimension of the work has been something that has traditionally been underexplored in architecture films and has always interested me the most. Also, stylistically I feel that a focus on hyper-intellectual information is good for a lecture or book, but films need to have a more dynamic visual quality and be more evocative, even touching in some way. I have tended to focus more on subject matter that enables those things, which for me means including more people and less talking-head interviews and shots of empty buildings. Which one of his buildings do you like best? That’s hard to say, they are all interesting in different ways. CCTV is very impressive from a technical point of view, incredible visually and interesting because of it’s cultural/sociological context. On a purely personal level I think my favorite is the Casa da Musica in Porto. I have never seen another building that has so many elements that are so radically different and unique and yet these elements all seem to work and flow incredibly well together. Did you ever want to be an architect yourself?